The aims and objectives of the Society of Friends of ‘The Gotha’ are to promote the study and dissemination of knowledge regarding ‘The Gotha’ and similar publications. ‘The Gotha’ or ‘The Almanach de Gotha’ was a respected directory of Europe’s royalty and highest nobility. First published in 1763 at the ducal court of Frederick III, Duke of Saxe-Gotha-Altenburg, it came to be regarded as an authority in the classification of monarchies and their courts, reigning and former dynasties, princely and ducal families, and the genealogical, biographical and titulary details of Europe’s highest level of aristocracy. In 1887, the almanac began to include non-European dynasties in its first section with the inclusion of one of the ruling families of India. 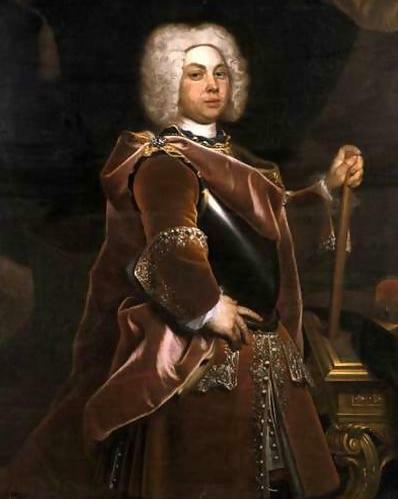 ‘The Gotha’ started from a publication in 1763 by Wilhelm von Rotberg (* 9 February 1718, † 1795), Hzgl. sächsisch-gothaischer wirkl. geheimer Rat, Minister and Kammerpräsident), which was just a pocket calendar with post timetables and foreign currency conversion rates. The following year Emanuel Christoph Klupfel added to it various bits of information, including genealogical notes on the ruling families of Europe (source: Almanach de Gotha 1863, ed. 100). ‘The Gotha’ was published by Andreas Reyher’s publishing firm, and later by other publishers (Johann Paul Mevius sel. Witwe , Johann Christian Dieterich, C. W. Ettinger) and, from 1785, annually by ‘Justus Perthes Verlag’ in Gotha under different names („Gothaischer Hof-Kalender zum Nutzen und Vergnügen eingerichtet“, „Gothaischer Genealogischer Kalender“, „Gothaischer genealogischer Hof-Kalender“, „Gothaer Hof-Kalender“ or „Gothaisches Genealogisches Handbuch des Adels“). In 1944 the Soviets destroyed the Gotha’s archives. After World War II, publishing of ‘The Gotha’ had to cease. The genuine ‘Gotha’ has not been re-published or re-issued since 1944 (source: Justus Perthes, Verlagsgeschichte).